You might have noticed my absence for a few months. Or not. I was in Toronto performing a scientific study, which is hardly news. And you might be wondering… was it cold? You couldn’t care less about my research. I asked myself the same question every morning. Luckily, the building in front of my apartment showed the temperature on a humongous light sign straight into my living room. So, before going out, I could decide whether to put on my extreme weather clothes or just a T-shirt with a thin jacket —when it was over 10 °C. When I landed in Toronto on the 30th of January it wasn’t raining and snow was nowhere to be seen. But the following day everything went white. I started taking pictures, which is quite unusual. I decided to document the changes in the landscape during my three months there. See some of the results below. The four first images alternated quite randomly for two months and only by the end of April could I take the last picture. It was one kilometre from the bus to the laboratory. It never felt like a long walk, except for the day of the freezing rain. 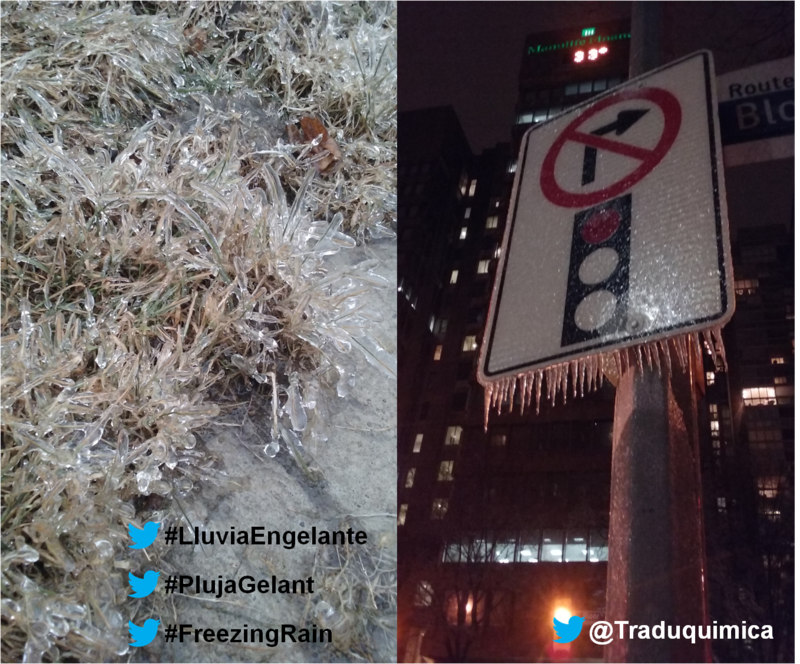 Freezing rain is rain that freezes when it touches any surface. Hence the whole floor of Toronto acquired a thin ice layer that was as beautiful as dangerous. See the blades of grass with an ice coating. Trees and urban furniture looked the same. I guess you feel more like searching for pictures of freezing rain on Google now than reading my ramblings. So here is the link to make your task easier and next time I might explain the title of the post.